Air Asia supports 2017 SEA Games by launching its region-wide #DaretoDream sports initiative on August 11 at Draft Pub Greenbelt Makati. The launch was attended by Volleyball player and TV personality Michele Gumabao and bloggers. #DaretoDream sports initiative, aims to motivate and inspire athletes to discover their own potential and make their athletic aspirations a reality. 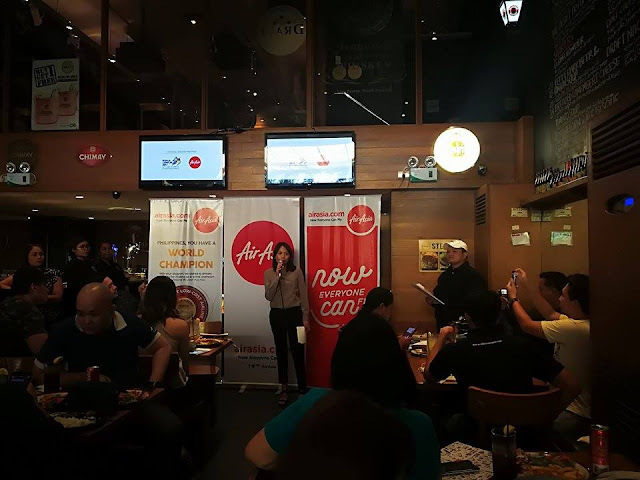 The campaign is launching just in time for the Southeast Asian Games, which will be held in Kuala Lumpur, Malaysia, from August 19 to 31. 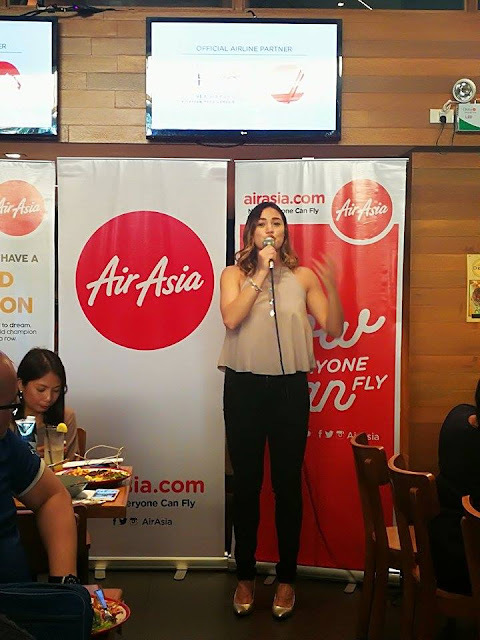 As the official airline partner of the 2017 SEA Games, AirAsia Philippines has also created an inspiring web video series telling the stories of our very own SEA Games athletes, who are all aiming to bring home glory for the country this August. 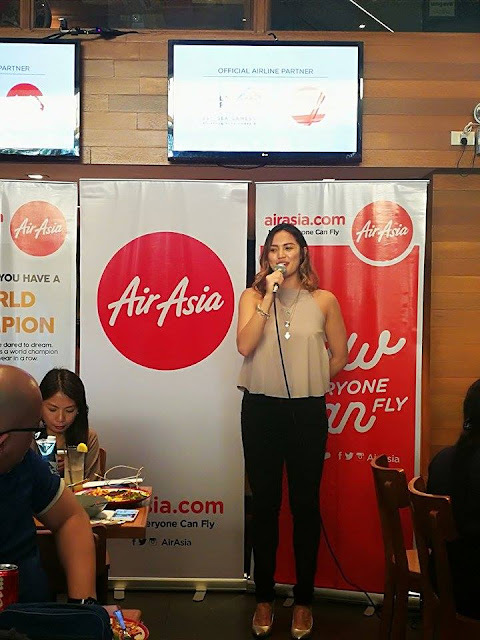 As part of the campaign, AirAsia Philippines will be posting video updates of the 2017 SEA Games on its Facebook page, which will be hosted by Volleyball player and TV personality Michele Gumabao. The four videos will contain the game highlights and team standings of the Philippine delegates. The first video will focus on the Opening Ceremony of the 29th SEA Games. The second and third will feature the winning athletes and teams from different countries, and the last will recap the highlights and winning moments of our Filipino athletes. 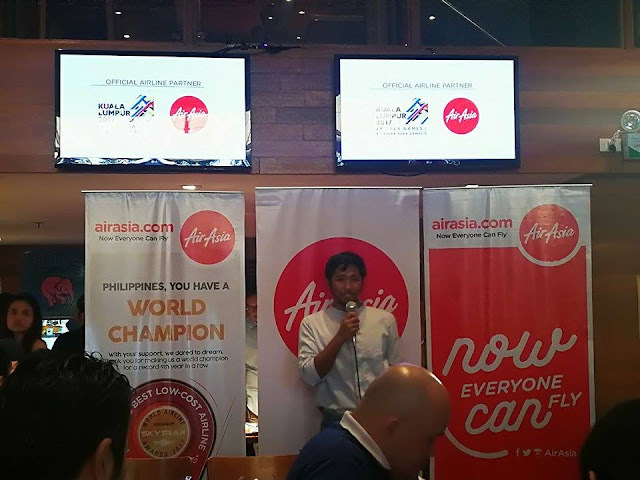 Labels: #DaretoDream, Air Asia, Philippines AirAsia Brand Manager David Viray. DONACOPOKER merupakan online web judi kartu online Indonesia terpercaya dan terlengkap dalam menyediakan permainan judi online seperti poker online, domino online, bandar ceme online, blackjack online...Bahkan yang merupakan web Agen Poker Online uang asli yang menyediakan transaksi dari bank BCA, BNI, BRI, Mandiri, memberikan MINIMAL deposit yang sangat murah serta menyediakan hadiah jackpot setiap harinya dan bisa bermain dengan para player dari seluruh kota yang ada di Indonesia, main poker online hanya di DonacoPoker.